Let wisdom and tranquility guide you on life’s journey in this beautiful Turquoise piece. As exquisite as the color itself, the turquoise gemstone is said to amplify one’s spirituality and bring about a steady calm. Be a stable, sturdy force with the harmony of the moon and the gentle ocean, and the strength of an unstoppable tidal wave. 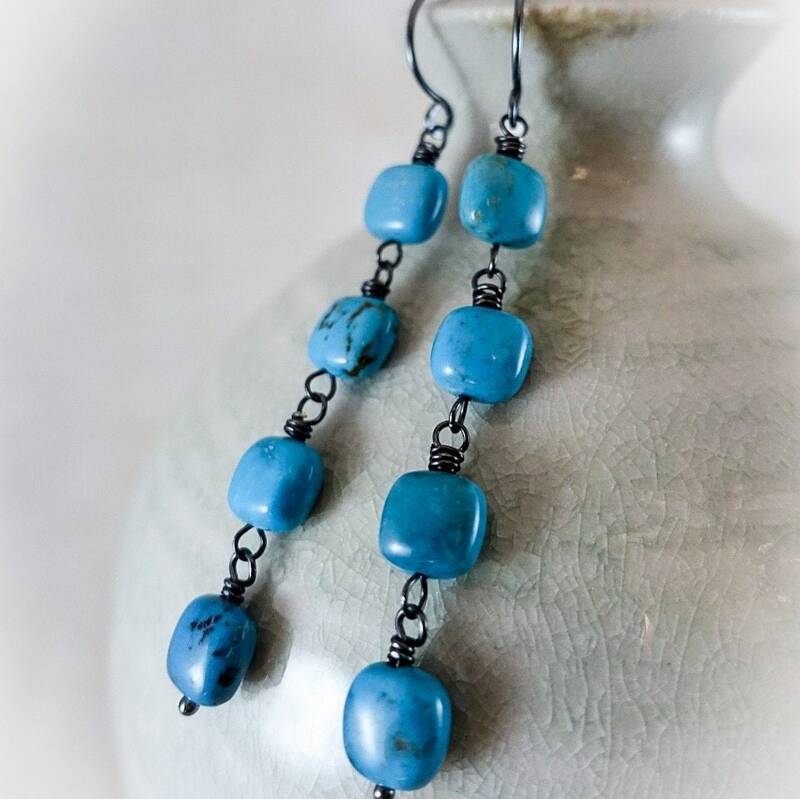 Pillow Shaped, cascading, turquoise beads with oxidized sterling silver. Priced at $66.